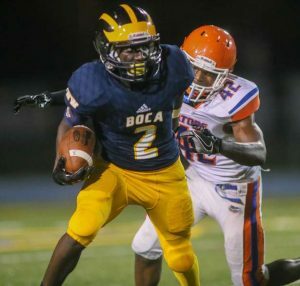 Boca Raton High School found itself in a shootout on Friday 9/2 as they went back and forth versus Palm Beach Gardens in a game of comebacks. 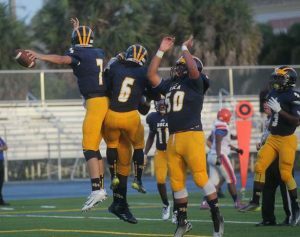 Quarterback Micah Leon led the Bobcats. Boca High was leading with a score of 21-7. 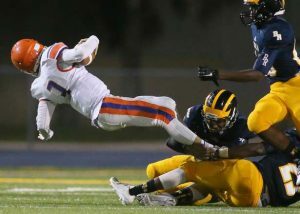 But a 14 point lead wasn’t enough to discourage the Palm Beach Gardens Gators. 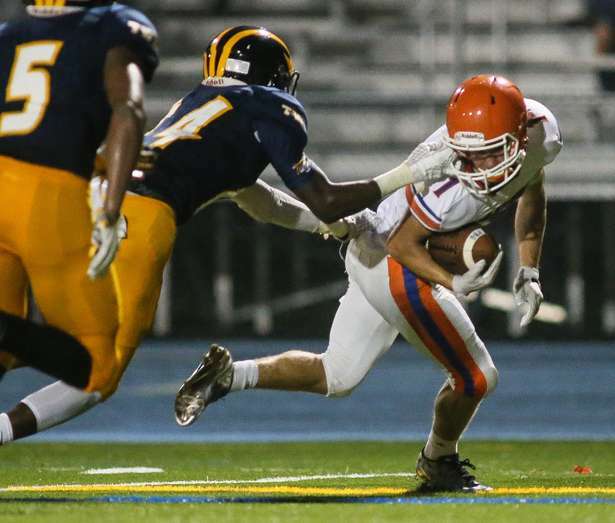 The Gators fought back and led the Bobcats 28-24 at the end of the third quarter. 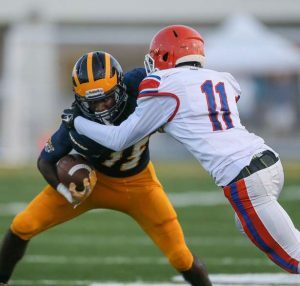 A penalty with little time left on the clock was the achilles heel for Palm Beach Gardens, as the Gators gave up a penalty which left the Boca Bobcats at the 18 yard line. The Bobcats came out on top 30-28. Next home game will be this Friday 9/16 against Spanish River.